Old School Strategy is Cool. Or is it? Do traditional strategy planning tools have a place in today’s business world? Let’s take a look at one of the more widely used in more detail. Michael Porter has been prominent in both the business and academic worlds for the last 30 years. A number of his theories, such as the Five Forces Model and Value Chain Model, are pervasive in business and academia today. The focus of this article will be the criticism, both good and bad, of the Five Forces Model. Michael Porter seems to be one of the few management gurus whose theories are academically sound, supported by research, and largely without criticism within the business world. There are however a number of critics when it comes to both Porter and his management theories. A number of these criticisms question the suitability of old management theories in today’s world of business. Other criticisms relate to the academic strength and suitability of Porter’s models. The Five Forces Model assists strategy makers in deciding whether or not the intensity of competition will allow good profits in an industry. It also promotes strategic thinking around improving the company’s strategy to better match the industry in which it competes. A number of commentators on business strategy point out that the Five Forces Model, although the most widely and recognised strategic model, may not be applicable to all situations. This is because the model tends to focus on the external environment, and ignores the company’s internal competencies. This opinion is reflected by Prahalad and Hamel in their 1994 book, “Competing for the Future”. They contend that a company’s core competencies will provide access to a variety of markets adding to the customer’s perceived benefits, which in turn will be difficult for competitors to imitate. Porter counters this argument to a degree, by stating that the essence of strategy formulation is coping with competition, both from direct competitors and the underlying economics of an industry. This then allows the business latitude in competing, by influencing the five forces via one or more of the three generic strategies as defined by Porter, in turn leveraging their key strengths. A further criticism is mentioned by Stoner and Freeman by citing a real world application of the Five Forces Model. This was used by the United States Football League (USFL) in its competitive struggle against the National Football League and resulted in a number of critics making the accusation that the USFL engaged in anti-trust activities while trying to influence the five forces. By focusing on only these five forces, certain external stakeholders may be overlooked. This brings in the question of the lack ethical and legal analyses within the Five Forces Model. The attack heightens with Ghoshal’s views on the teaching of strategic theories or frameworks within Masters of Business Administration (MBA) programmes at certain universities, most notably Harvard Business School, of which Porter was both a graduate and faculty member. Ghoshal asserts that these teachings, teach students that managers cannot be trusted, and in turn, the students end up as untrustworthy managers themselves. He goes on the say that the students are freed from any sense of moral responsibility. He points out the prominence of business school educated executives at corporations such as Enron and hints to this as a reason for the recent scandal. Although there is a lack of ethical or legal intent within the Five Forces Model, Porter does maintain that companies can compete in a vicious and warlike manner or a gentlemanly and subdued manner, alluding to the fact that businesses do have a choice to compete ethically and legally regardless of the strategic framework they employ. Having looked at a real work application of the Five Forces Model that was not a good publicity exercise for Porter’s theory there are numerous applications that were resounding successes. John Byrne highlights Mercedes Benz’s entry into the Sports Utility Vehicle (SUV) market in the United States. The company decided not to enter the market with the smaller Smart Car but instead decided to launch an SUV, based on the Americans notion of “bigger is better”, making a smart strategic choice. Byrne states that “it’s a decision right out of Michael Porter’s textbooks on strategic thinking”. A case study presented by Sölvell and Porter illustrates the use of the Five Forces Model (amongst others) in describing and solving the problems facing Nokia, the cellular telephone industry, and Finland during the 1990s. Other opposing views are more general in nature, and one of the most prevalent questions asked is the relevance of an almost 30-year-old theory. The Internet plays a large role in many businesses and industries today and Evans states that companies must refocus to compete in the Internet Age. He states that the Internet “turns things upside down” by destroying the stable environment in which the Five Forces Model was developed. Another implication is that the definitions of entities such as firm, industry, customer and supplier have all changed, undermining Porter’s framework. Lastly, he contends that the “New Economy” has removed core competencies from the business so that they now belong to the community. Evans and Wurster take an objective approach by introducing the concept of “Deconstruction”. They argue that organisational structures, core competencies, and other industry structures on which strategies are based, are no longer stable because of the fluidity and transparency introduced by rich information exchange via the Internet, Extranets, and Intranets. They conclude that the theory of deconstruction in no way invalidates the Five Forces Model, but specify that the model cannot be applied before determining which entities the forces will act upon. The ‘New Economy’ argument is countered by Oliva who states that old tools are more important than ever in a digital business. Managers require a framework for thinking, a systematic way to help order the chaos and look at their businesses. Porters Five Forces Model is one of these tools that can help analyse the impact of new technologies. Using the Internet as a prime example, there was a lot of experimentation with new business models which eventually led to the dot-bomb debacle. The Internet led to the expansion of markets, increased the bargaining power of customers, and increased the rivalry among competitors – a situation that was prime for a proven set of tools, such as the Five Forces Model. Although the Internet provided a medium for new business and new business models, more traditional businesses also adopted the medium. In a case study documented by Siaw and Yu, they use the Five Forces Model to perform and analysis of the impact of the Internet on competition in the banking industry. They found the model to be ideally suited for this exercise and suggested that this form of analysis could be used for guiding a company in their competitive strategy. The changing environment created by the advent of the Internet has caused some scholars to propose augmented theories around the Five Forces Model. Slater and Olse suggest adding on to the theory around certain key points, such as a more detailed focus on the relevant industry, industry factors, and factors influencing competitive strategy. Even with high levels of uncertainty, the Five Forces Model has a role to play. This is demonstrated by McGrath and MacMillan when they recommend the Five Forces Model to analyse events that could have a high impact on your business, even although the chance of them occurring is low. Kim and Mauborgne are slightly more critical when they state that in taking an industry deterministic view of the business, you can become a victim of your specific industry. They think that using Porters Five Forces model will limit a company’s opportunities and profitable growth because innovation often occurs across different industries. During the 1990s strategy seemed to fall from grace. Porter himself stated that many businesses lost their faith in strategy. Another problem was that businesses felt that strategic theories lead to predictable strategy and this was bad. They, therefore, tended to steer away from strategic paradigms and preferred to focus more on operational effectiveness, and often became overwhelmed with tactics. Porter felt that businesses had misused these strategic paradigms. Although the last ten years has not been wonderful for strategy there has been a resurgence of interest in the topic, with authors like Prahalad and Slywotzky publishing new material recently, and more importantly, Porter continuing to release new material. The true test of Strategy is whether or not it works in the corporate world. Porter’s Five Forces Model has proven itself although it does exhibit a few (minimal) shortcomings. As is the case with any tool, it is often complemented by the use of other tools, and this is certainly the approach that any strategist should follow when deciding on a tool or paradigm to assist in the strategic planning process. Anon. 2005. Business: Bad for Business? Business Schools. The Economist. 374(8414):66. Evans P & Wurster TS. 2000. Click. Boom. The Next Generation of e-Commerce Strategy. Ivey Business Journal. 64(1):35-42. Evans P. 2000. Strategy: The End of the Endgame? Journal of Business Strategy. 21(6):12-16. Goett P. 1999. Michael E. Porter (b. 1947): A Man With a Competitive Advantage. The Journal of Business Strategy. 20(5):40(2). Huffman B. 2001. 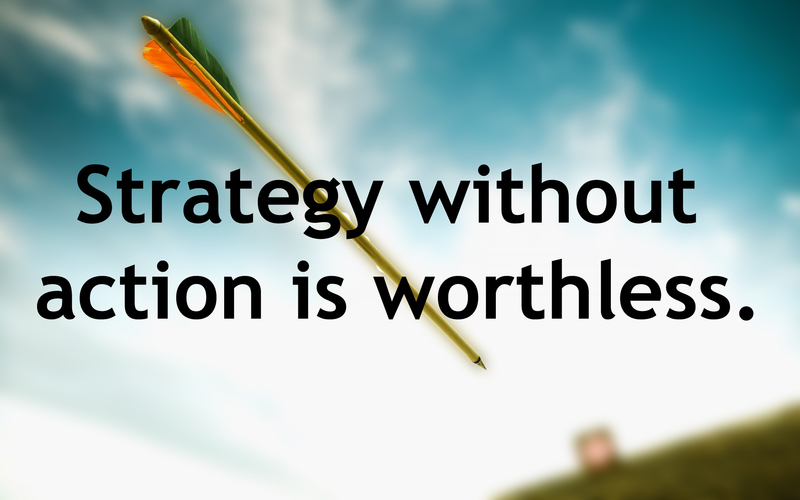 What Makes a Strategy Brilliant? Business Horizons. 44(4):13-20. Kim WC & Mauborgne R. 2003. Flouting Conventional Wisdom. Chief Executive, 40:(4p). Oliva RA. 2002. A Framework for Success. Marketing Management. 11(1):39. Slater SF & Olson EM. 2002. A Fresh Look at Industry and Market Analysis. Business Horizons, 45(1):15(8). Sölvell Ö & Porter ME. 2002. Finland and Nokia. Harvard Business School.